The Late, Great Lorenzo Semple Jr.
Screenwriter Lorenzo Semple Jr. died today, 28 March 2014, at the age of 91. He was perhaps best known for developing the Sixties TV show Batman. He also wrote several screenplays, including Pretty Poison (1968) and Flash Gordon (1980). Lorenzo Semple Jr. was born Lorenzo Semple III in New Rochelle, New York on 27 March 1923. Playwright Philip Barry (who wrote Holiday and The Philadelphia Story) was his uncle by marriage (he was married to Lorenzo Semple Jr.'s aunt Ellen Semple). It was largely Philip Barry's life of wealth and ease that convinced young Mr. Semple that he wanted to be a writer. Lorenzo Semple Jr. attended Yale before leaving the university in 1941 to drive an ambulance for the Free French Forces. He was later drafted into the United States Army and earned the Bronze Star. Following World War II Mr. Semple studied at Columbia University. His first writing sale was a story in The Saturday Evening Post. He also contributed stories to Collier's Weekly. The year 1955 saw Lorenzo Semple Jr.'s first play to be produced on Broadway, Tonight in Samarkand. In 1956 his first work on television aired, an episode of The Alcoa Hour entitled "The Archangel Harrigan". In the Fifties he also wrote episodes of Buckskin, Target, and Pursuit. The year 1959 saw another play by Lorenzo Semple Jr. produced on Broadway, Golden Fleecing. In 1961 it was adapted as the motion picture The Honeymoon Machine with a screenplay by George Wells. The Sixties saw Lorenzo Semple Jr. continue working in television. He wrote episodes of Kraft Suspense Theatre, Breaking Point, The Rogues, Bob Hope Presents The Chrysler Theatre, Summer Fun, and The Rat Patrol. He wrote four episodes of Burke's Law. It was around 1964 or 1965 that Lorenzo Semple Jr. wrote a pilot for producer William Dozier entitled Number One Son. The prospective series would have featured Bruce Lee as Charlie Chan's "Number One Son" having James Bond-type adventures around the world. Unfortunately ABC rejected the pitch for the show, stating that they didn't want to do a show with an ethnic lead. While Lorenzo Semple Jr. and William Dozier did not get to make Number One Son, they would soon find themselves responsible for another television show. ABC had taken an interest in airing a television show based on the comic book character Batman. The network turned to 20th Century Fox, who in turn approached William Dozier and his company Greenway Productions to produce the show. William Dozier thought it was unlikely adults would take a show about a man dressed up as a bat seriously and decided the best approach to take was to treat it as a comedy. He then asked Lorenzo Semple Jr. to develop the series. In keeping with William Dozier's thought that the show should be played as a comedy, Lorenzo Semple Jr. shaped the format of Batman so that it would operate as a parody of superhero conventions for adults and an adventure show for children. While he would only write the first two 2-part episodes and the 1966 feature film, Lorenzo Semple Jr. was largely responsible for establishing the flavour of the show. He served as the show's script consultant and wrote its writers' bible as well. Batman proved to be an outright phenomenon, television's biggest fad since the "Davy Crockett" mini-series had aired on Disneyland in 1954. It not only received phenomenal ratings, but also produced an extraordinarily large amount of merchandise. With the success of Batman Lorenzo Semple Jr. did not remain in television for long. He wrote a two-part episode of The Green Hornet (another show produced by William Dozier) before moving into writing motion picture screenplays. In the late Sixties he wrote the screenplays for the 1967 spy comedy Fathom, the 1968 black comedy Pretty Poison, and, with Larry Cohen, the 1969 thriller Daddy's Gone A-Hunting. 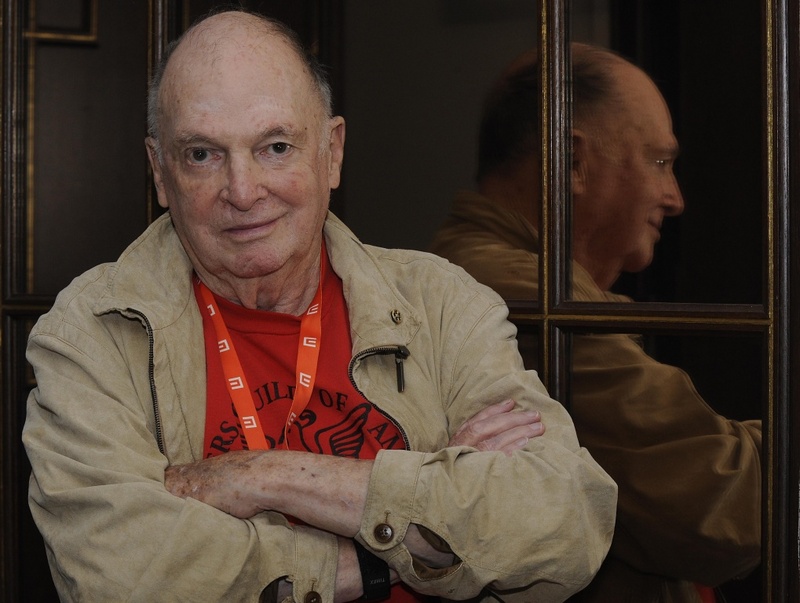 The Seventies saw Lorenzo Semple Jr. write the screenplays for The Sporting Club (1971) and The Marriage of a Young Stockbroker (1971). He wrote a screenplay based on Loren Singer's novel The Parallax View, but left the project when the plot was changed significantly. David Giler finished the screenplay and The Parallax View was released in 1974. Lorenzo Semple Jr. wrote much of the screenplay for Papillon (1973), but was replaced by Dalton Trumbo. He also worked on Three Days of the Condor (1975), but was eventually released from the project. He wrote The Drowning Pool (1975) with Walter Hill and Tracy Keenan Wynn, The Super Cops (1974), the 1976 remake of King Kong, and Hurricane (1979). With 1980's Flash Gordon he returned to material similar to Batman. The film was based on the famous comic strip character of the same name and done in an exaggerated style similar to Batman. Since its release the film has amassed a considerable cult following. In the Eighties Lorenzo Semple Jr. wrote the screenplay for Never Say Never Again, the James Bond film not produced by Eon Productions that saw Sean Connery return to the role one last time. He returned to comic books and camp when he wrote the screenplay for Sheena, Queen of the Jungle (1984), based on the comic book character of the same name. He also wrote the teleplay for the TV movie Rearview Mirror, which aired in 1984. He wrote the teleplay for the television movie Rapture, which aired in 1993, with Vera Appleyard. In more recent years Lorenzo Semple Jr. was one of the film critics (alongside former producer and agent Marcia Nasatir) on the YouTube series Reel Geezers. Mr. Semple also served on the Writers Guild of America's Board of Directors for years and as the guild's Secretary-Treasurer for a time. From 1984-90 he taught screen writing at New York University’s NYU Tisch School of the Arts. While Lorenzo Semple Jr.'s career was inconsistent, there can be little doubt that he was a great talent. His writing at its best could be absolutely fantastic. The teleplays he wrote for Batman were sheer genius, some of the greatest television episodes written in the Sixties. Pretty Poison was a brilliantly wicked film that walked the fine line between crime thriller and black comedy. Flash Gordon was a wonderfully loyal adaptation of the comic strip that successfully recaptured the camp of Mr. Semple's earlier Batman. Of course, Mr. Semple was capable of writing serious films. The Drowning Pool was a very well done detective film. He made significant contributions to such films as The Parallax View, Papillon, and Three Days of the Condor. Of course, not all of Lorenzo Semple Jr.'s work was of the same quality as Batman, Pretty Poison, or Flash Gordon. King Kong and Hurricane are not exactly good films. If Lorenzo Semple Jr.'s work was not always the best, it was perhaps because he was not afraid to take chances. As a writer he was fearless. Let's face it, not every writer would have thought of using the then 25 year old character Batman in a pop art parody of superheroes. Indeed, Daddy's Gone A-Hunting (a highly underrated film in my humble opinion), which he co-wrote with Larry Cohen, proved downright controversial as it touched upon the topic of abortion at a time when it was still illegal in much of the United States. Not every writer would have dared gone near the subject at the time. Lorenzo Semple Jr. was not afraid to gamble with the material that he wrote. When he was successful, the results could be wonderful. When he wasn't successful, well, we got Sheena, Queen of the Jungle. Beyond being a talented (and daring) writer, Lorenzo Semple Jr. also made a fine film critic. On Reel Geezers he was funny, well spoken, and a touch curmudgeonly (or as Mr. Semple probably would have described it, "a real geezer"). He was adept at dissecting films and expressing his opinion, to the point that even when one disagreef with him one could still understand and appreciate his point of view. Ultimately, Lorenzo Semple, Jr. was a genuinely talented man who seemed to actually enjoy what he was doing. He infused his work with such love and such fun that even when it was not always well done there could still be much about it that could be enjoyed. Mr. Semple would have left a mark on television and film history if the only thing he had done was Batman. As it was he gave us so much more. For classic movie buffs 2014 is a year of anniversaries. First it has been 75 years since 1939, widely regarded as the greatest year for film of all time. Because of this some of the greatest movies ever made are celebrating their 75th anniversaries this year. Second, the Criterion Collection turns thirty years old this year. Founded in 1984, the Criterion Collection is a video distribution company devoted to classic and quality films. Third, next month will see Turner Classic Movies turn 20 years old. In the ensuing years it has become one of the most valued resources of classic film fans. Fourth, it was earlier this week that the Warner Archive turned five years old. Like TCM, the Warner Archive has become one of the most valued resources for classic film buffs. It launched on 23 March 2009. For those unfamiliar with the Warner Archive, it began as a manufactured on demand (MOD for short) DVD business. Quite simply, DVDs of films or television shows are manufactured only when the customer places an order for them. Because the Warner Archive's DVDs are only manufactured on demand, they are available only through the Archive. This saves money on storing the DVDs and on dispatching them to stores. From the very beginning of the Warner Archive one could also purchase films as digital downloads. Since its launch in March 2009 the Warner Archive has undergone a few changes. In November 2012 the Warner Archive began selling limited edition, manufactured on demand Blu-ray Discs. It was in July 2013 that Warner Archive Instant was launched. Warner Archive Instant is a service whereby for $9.99 a month one can stream films and TV shows from the Archive, not unlike NetFlix or Hulu. The Warner Archive would prove to be a game changer for classic movie and television buffs and not simply because it was the first manufactured on demand DVD business. Many films and television shows that had never been issued on DVD before or had long ago gone out of print would become available through the Warner Archive. What is more, titles available through the Warner Archive range from the Silent Era to the Eighties. There is also an incredible variety in what the Warner Archive has to offer. There are genuine classics, such as Showboat (1936) and The Americanization of Emily (1964). There are some prime examples of camp, including 1955's Sincerely Yours (a vehicle for Liberace) and 1975's Doc Savage: The Man of Bronze. There is even some outright schlock, such as The Green Slime (1968). Of course, The Warner Archive also deals in television shows, including such rarely seen series as Search (a short lived show from 1972) as well as better known shows as Maverick. Of course, the success of the Warner Archive would lead to other MOD DVD businesses. It was only a little over a year after the Warner Archive had launched that Sony started its own MOD DVD business, Screen Classics By Request (now called the Sony Choice Collection). MGM, Universal, and Disney would follow suit with their own MOD DVD businesses (the MGM Choice Collection, the Universal Vault Series, and the Disney Generations Collection respectively). More recently 20th Century Fox launched the Fox Cinema Archives. As a result of the Warner Archive's success, then, many of the major studios started their own MOD businesses. And because other studios started their own MOD businesses many more vintage films that might never have seen the light of day are now available on DVD and Blu-Ray. While other studios would start their own manufactured on demand DVD businesses, it is the Warner Archive that remains the leader in the field. Much of this is due to the sheer size of Warner's library, which not only includes Warner Brothers' own feature films, shorts, and television shows, but films from MGM, United Artists, RKO, and other sources as well. 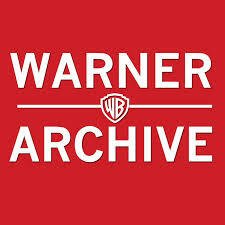 As a result many more films and TV shows can be released through the Warner Archive than some of the other studios' MOD businesses. Another reason the Warner Archive has remained the leader in the field of MOD businesses is the sheer quality of their products. Not only do they use the very best prints, but even the packaging is superior to that of other MOD businesses. Both the Criterion Collection and Turner Classic Movies (through their TCM Vault Collection) released vintage films well before the Warner Archive was founded, but the Warner Archive has established itself as a valuable resource for classic film buffs simply through the sheer variety of its releases. Both the Criterion Collection and the TCM Vault Collection are primarily devoted to classic films. We will probably never see the Criterion Collection release The Green Slime or the TCM Vault Collection release Yor, The Hunter From The Future. And it must be pointed out that television shows are also released through the Warner Archive. Cheyenne, The Courtship of Eddie's Father, The F.B.I., The Man From Atlantis, and Marine Boy are all available through the Warner Archive. Quite simply, the Warner Archive's greatest contribution to fans of vintage films and television shows may be the fact that they have made available films and TV shows that have been rarely seen in the past few decades. For that reason the Warner Archive has earned the love of vintage film and television fans everywhere. The past few weeks Facebook has been rolling out a new design for its news feed and the web site in general. One reason for this redesign is so that the desktop version of the site and the mobile version will look more alike. Another reason is so that Facebook will be easier to use across various platforms (at least that's the theory). Unfortunately, as usual, Facebook's redesign for the web site leaves a bit to be desired in my opinion. Much of my problem with the redesign are changes that Facebook has made to the navbar. On the old navbar (at least for those of us without Graph Search) Friend Requests, Messages, and Notifications were all on the left side, with Settings, Privacy Settings, and the link to one's profile on the right. With this new redesign Friend Requests, Messages, and Notifications have all been moved to the right, along with Settings, Privacy Settings, and one's profile link. To me this is a big mistake, and not simply because Friend Requests, Messages, and Notifications have been on the left for years. Quite simply, in languages that are read from the left to right (which are the majority of languages spoken in Europe, North America, and South America), there is a natural tendency when looking at a printed page or a computer screen for the eye to go immediately towards the upper, left side. It then seems much more convenient to me to have Friend Requests, Messages, and Notifications on the left side of the navbar where they are going to be much more easily seen. Indeed, even if there wasn't a natural tendency for the eye to go towards the left side of the screen (at least in the case of speakers of languages written from left to right) I think moving Friend Requests, Messages, and Notifications to the right side of the navbar is still a mistake. Quite simply, the right side of the navbar is now crowded. Friend Requests, Messages, and Notifications are on the right along with Settings, Privacy Settings, one's profile link, and a totally superfluous Home button (it takes one to the news feed). This makes the right side of the navbar rather crowded, so it's not quite as easy to, say, click on one's Notifications or Messages (so much for the redesign being "easier" to use). Another problem with the new redesign is that Facebook has now placed an absolutely huge header image above one's custom lists. The header image is randomly chosen from one's friends' various cover images and changes from time to time. Not only is the header image wholly unnecessary, but it forces one to scroll down a little bit to read posts. I think I can speak for most Facebook users when I say that when we visit our lists we want to read posts, not look at randomly chosen cover images. This is actually the part of the redesign that irritates me the most and I hope Facebook removes the header images immediately. Fortunately, the redesign of the news feed itself is not nearly as bad as the redesign of the navbar or custom lists. That having been said, it could have been better. Namely, Facebook really did not have to make images larger. At the size that images are in the redesign it seems to me that it could be all too easy for individuals to overlook status updates, links, and videos. Indeed, I'm thinking that status updates could be all too easily lost among the pictures. Here I must note that this was a problem on Google+ until they adjusted the size of links upwards! Over all the Facebook redesign is not horrible. I don't think it will cause the waves of outrage that previous redesigns have caused. That having been said, there are things about it that could be much better. The navbar should be changed back to something like it once was, with Friend Requests, Messages, and Notifications on the left side. And they should definitely do away with the header photos above custom lists, which I find outright annoying. Facebook has been a bit more responsive to user demands than they once were, so perhaps we might see changes to the redesign in the near future. One can only hope so. Prolific character actor James Rebhorn died on 21 March at the age of 65. The cause was melanoma, with which he was diagnosed in 1992. 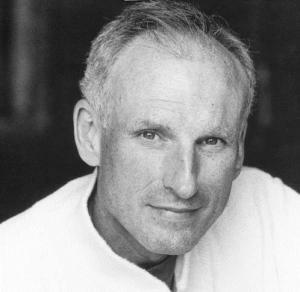 James Rebhorn was born in Philadelphia, Pennsylvania on 1 September 1948. His family moved to Anderson, Indiana while James Rebhorn was still a child. He attended Wittenberg University in Springfield, Ohio, where he majored in political science and theatre. After graduating he went to Columbia University in New York City where he received a master's degree in fine arts. Following graduation Mr. Rebhorn began acting on stage. He made his television debut on the soap opera The Doctors, appearing in episodes of the show in 1977. He made his film debut in The Yum Yum Girls in 1976 and appeared in the film He Knows You're Not Alone in 1980. He made his debut on Broadway in Are You Now or Have You Ever Been in 1979. In the Eighties James Reborn appeared in the films Soup for One (1982), Silkwood (1983), Cat's Eye (1985), Whatever It Takes (1986), The House on Carroll Street (1988), Heart of Midnight (1988), The House on Carroll Street (1988), and Desperate Hours (1990). He appeared on such television shows as Texas, The Guiding Light, Kane and Abel, Kate and Allie, Spenser: For Hire, The Equalizer, Wiseguy, and Against the Law. He was a regular on the soap opera As the World Turns. He appeared in the mini-series North and South. On Broadway he appeared in I'm Not Rappaport and a revival of Our Town. In the Nineties he was part of the cast of the television show Third Watch. He appeared on such shows as Hallmark Hall of Fame ("Sarah, Plain & Tall" and "Skylark"), I'll Fly Away, The Buccaneers, New York Undercover, From the Earth to the Moon, Seinfeld ("The Finale"), and Now and Again. He appeared in such films as Regarding Henry (1991), My Cousin Vinny (1992), Basic Instinct (1992), White Sands (1992), Scent of a Woman (1992), Lorenzo's Oil (1992), Carlito's Way (1993), Blank Check (1994), Guarding Tess (1994), White Squall (1996), Independence Day (1996), The Game (1997), The Talented Mr. Ripley (1999), The Adventures of Rocky & Bullwinkle (2000), and Meet the Parents (2000). In the Naughts he was a regular on the TV shows The Book of Daniel and Big Lake, and a semi-regular on the shows Law & Order and White Collar. He appeared on such shows as The Practice, Hack, Waterfront, The Knights of Prosperity, Canterbury's Law, Boston Legal, Royal Pains, 30 Rock, and As the World Turns. He appeared in the mini-series Comanche Moon. He appeared in such films as Last Ball (2001), The Adventures of Pluto Nash (2002), Head of State (2003), Cold Mountain (2003), How to Eat Fried Worms (2006), Anamorph (2007), Baby Mama (2008), Don McKay (2009), and A Little Help (2010). He appeared on Broadway in The Man Who Had All the Luck, Dinner at Eight, Twelve Angry Men, and Prelude to a Kiss. In 2002 he began participating in the Roundabout Theatre Company, appearing in many of their productions. In the Teens he was a regular on Homeland. He appeared on such TV shows as Blue Bloods, The Good Wife, and Enlightened. He appeared in such films as The Line (2011), Real Steel (2011), The Odd Life of Timothy Green (2012), and Before I Sleep (2013). When most film buffs think of great character actors, they are often inclined to think of actors from the Golden Age of Hollywood. In many respects James Rebhorn was a throwback to character actors from that era. He played character parts almost exclusively, so that it was rare that his name was listed very high on the credits of films or even television shows. And like the great character actors of old he was a true chameleon, able to pull off any number of roles convincingly. Film and television viewers might not recognise his name, but one can be guaranteed they would always recognise his face. Like most great character actors James Rebhorn had a specific type he usually played. In his case it was "the Man in the Suit". Over the years he played many lawyers, doctors, politicians, businessmen, and so on. While his characters may have usually worn suits, however, he played a wide variety of different sorts of characters in suits. Many obituaries have noted that Mr. Rebhorn often played villains (crooked lawyers, businessmen, or politicians). Indeed, his role as the corrupt headmaster in Scent of a Woman (1992) is one of his most famous roles. That having been said, it is not the films in which he played villains that come to my mind when I think of James Rebhorn. Instead I think of George Wilbur, the FBI analyst who proves pivotal in the trial in the comedy My Cousin Vinny (1992) and his recurring role as defence attorney Charles Garnett on Law & Order. Perhaps my favourite role that James Rebhorn played was that of, well, an actor in The Game (1997). He was perfect in the role and for those who recognised him it was a great in-joke in the film. In his forty years acting James Rebhorn was extremely prolific, appearing in many films, television shows, and stage plays. It is easy to understand why. He was an extremely talented actor who could easily perform any role given him. Patrice Wymore died on 22 March at the age of 87 (although some sources gave her age as 84) after a long illness. Miss Wymore appeared in films, on television, and on Broadway. She was married to Errol Flynn from 1950 until his death. 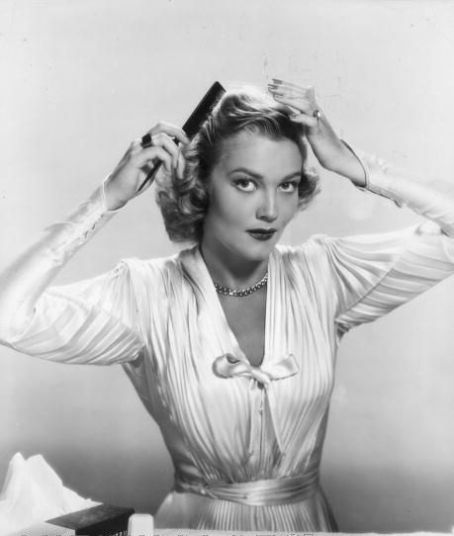 Patrice Wymore was born on 17 December in Miltonvale, Kansas. Her parents were vaudeville performers and she started touring with them while she was still a child. She made her debut on Broadway in the musical Hold It! in 1948. In 1949 she appeared on Broadway in the musical All for Love. It was not long afterwards that she was signed by Warner Brothers. She made her film debut in Tea for Two in 1950 and appeared in Rocky Mountain the same year. It was on the set of Rocky Mountain that she met Errol Flynn. In the Fifties Miss Wymore appeared in such films as I'll See You in My Dreams (1951), Starlift (1951), The Big Trees (1952), She's Working Her Way Through College (1952), The Man Behind the Gun (1953), She's Back on Broadway (1953), King's Rhapsody (1955), The Sad Horse (1959), and Ocean's 11 (1960). She made her television debut in an episode of Lux Video Theatre in 1953. She also appeared on the shows Errol Flynn Theatre and Jefferson Drum. In the Sixties she was a regular on the soap opera Never Too Young. She also guest starred on the shows The Roaring 20's, The Deputy, Cheyenne, Tales of Wells Fargo, 77 Sunset Strip, The Littlest Hobo, Perry Mason, Mister Roberts, The Monkees, and F Troop. She appeared in the film Chamber of Horrors. Patrice Wymore retired in 1967 to her cattle ranch in Jamaica. She also operated a wicker furniture business. That Patrice Wymore was very pretty that can be no doubt, but she was also a very talented actress. She had a particular gift for comedy, with a very good sense of timing. While her guest appearances on The Monkees and F Troop were among her last work, they were also among her best. At the same time, however, Miss Wymore also excelled in more serious roles. She guest starred three times on Perry Mason (once as the murder victim) and did well in all three. What is more, she could play unpleasant people as easily as she could nice ones. Among her most memorable roles was Danny Ocean's prickly girlfriend in Ocean's 11 (1960). Patrice Wymore also had a very good singing voice which she got to put to good use both on film (in the movie Starlift) and on television in the F Troop episode "She's Only a Build in a Girdled Cage"). Although she never achieved superstardom, Patrice Wymore was definitely one of those actress who enriched any film or TV show in which she appeared.